Eat your heart out Andrew Lloyd Webber. 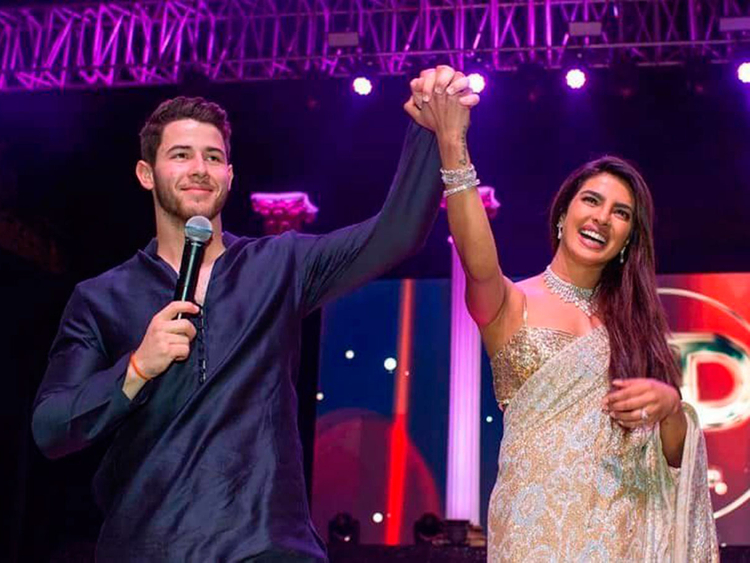 In what could rival any slick musical ever produced, Priyanka Chopra shared a snippet from her sangeet ceremony, held ahead of her main wedding to Nick Jonas on Saturday evening. 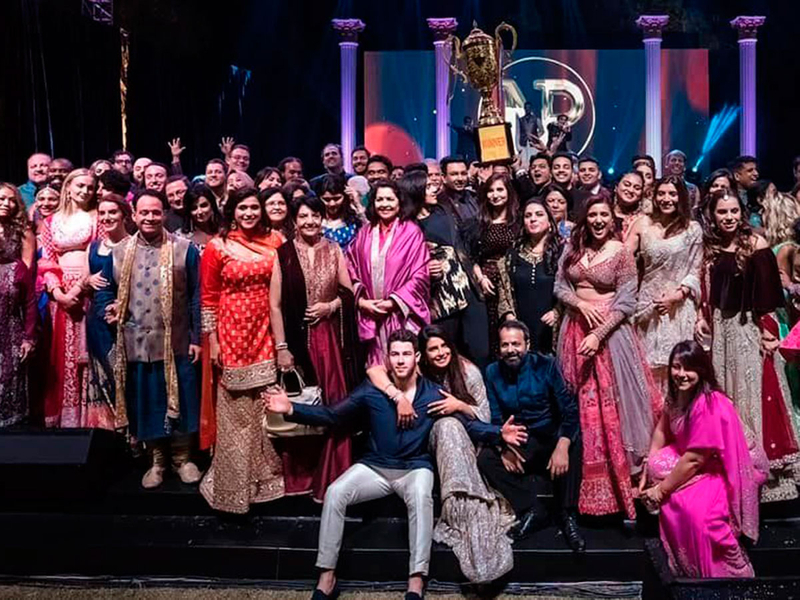 “It all began as a fierce song and dance competition between the families but ended, as always, as a huge celebration of love,” Chopra posted. “Nick and I were looking forward to the sangeet (musical evening), another pre wedding ritual. and to see what each side had put together. And what a performance it was. Each family telling our stories through song and dance, filled with lots of laughter and love. The video, posted on Instagram, show the Chopra and Jonas families in their Indian fineries, matching (or competing) steps. 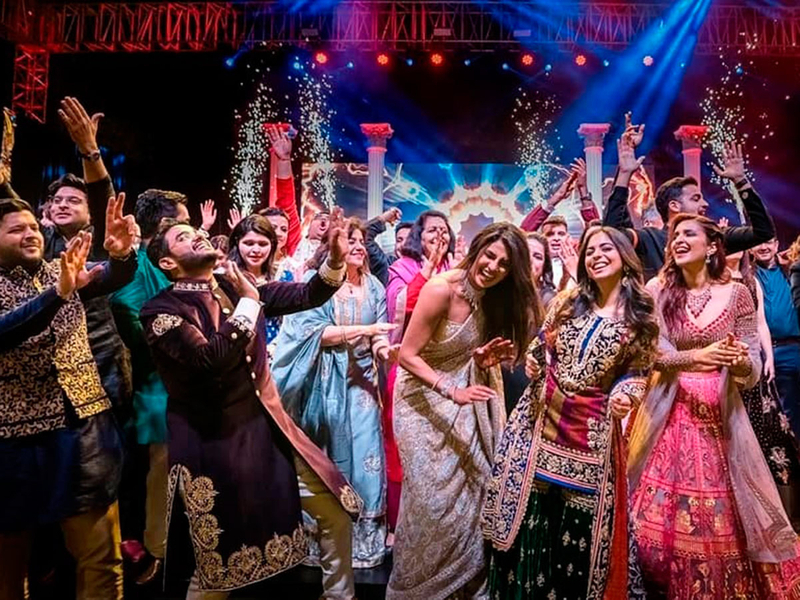 Sangeet ceremonies are traditionally song-and-dance friendly competitions each side of the family put up in an attempt to outdo each other. Chopra earlier posted pictures from a cricket match, held on the grounds of the opulent Umaid Bhawan Palace in the Indian city of Jodhpur, the location of their wedding. The couple tied the knot on Saturday in a Christian ceremony, officiated by Jonas’ father Paul Kevin Jonas. They are due to have a traditional Hindu wedding ceremony on Sunday and host a reception in New Delhi next week.